Aria Morse must answer any question she hears; she is an oracle, one descended from the Sibyls from ancient Greece. While the talent may have been valued in ancient Greece, Aria feels as if she has been cursed. She has no control over her impulse to answer questions, and people ask a lot of questions every day. Questions on the bus, questions at the market, questions at school; if Aria hears them, answers come flying out of her mouth. If the answers made sense and she could have helped her grandparents win the lottery, life might have been much better. The answers don’t always make sense though, and when they do, people often don’t want to hear them. If the answer to your wife’s question of “Where have you been all night?” is “Out with my new girlfriend,’ then the truth is just going to make people mad. In order to deal with life in school, Aria listens to music and tries not to hear any questions. She is known as ‘the mumbler,’ in spite of her best efforts. 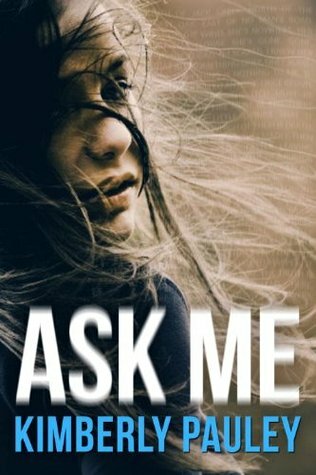 When one of her classmates goes missing, people start to ask questions, and Aria gives answers. The answers aren’t good ones, and soon, the classmate turns up dead. As the questions surrounding the girl’s death escalate, Aria is appalled to hear the answers. More girls are going to die, and suspicion seems to fall on Alex, a boy with a known troubled family. Aria seeks the help of Will, another classmate, and soon the two of them are deeply involved in trying to stop more deaths. Aria may find that her efforts put her in more danger than anyone, and her oracle powers may not be any help at all. This was an interesting young adult title. While many paranormal books focus on vampires or werewolves, it was nice to see a book focus on a different paranormal being. Kimberly Pauley’s take on the life of an oracle was fresh, and Aria was a wonderful character to get to know. I actually would have liked to see more of the history of these women, and what they have accomplished in the world. The murder mystery was not terribly hard to figure out, but I enjoyed the journey to the end of the book nonetheless.